It’s easy to find discount LEGOLAND tickets if you know where to look. There are several websites currently offering LEGOLAND discounted tickets and you can even find cheap LEGOLAND tickets directly on the LEGOLAND website if you do it right. With so many places to buy cheap tickets, it can be overwhelming to figure out how to get the best deal. 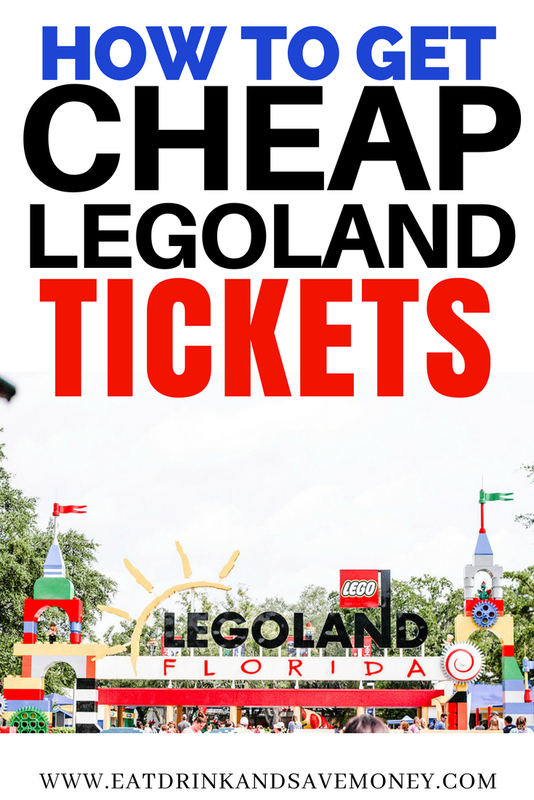 I’ve rounded up the best sites that offer LEGOLAND tickets at rock bottom prices to help you decide how to make the best decision for your family. The first time we visited LEGOLAND Florida, I was a little disappointed. My boys are huge LEGO fans so the build up to our visit was almost unbearable for them. Unfortunately they aren’t big fans of rides, and the little kid play areas were too babyish for my oldest son. Even though I knew the park would be ride heavy, I expected there to be more areas for hands-on LEGO play. Overall, a good time was had by all and we don’t regret visiting. In fact, the boys are dying to go back. The thing that really disappointed me was the price of admission. The tickets are almost as much as one day to Disney World. Not that I should compare every theme park to Disney World, but I do. With one day tickets costing $88.99 at the door, the cost can add up fast. Luckily, there are a few ways to get the best bang for your buck. I get most excited about the annual pass prices and the discounted combo tickets that include LEGOLAND Florida tickets. These ticket prices are so great that I wholeheartedly endorse them. A one day ticket to just the park, not including the waterpark, is $79.99 online and $88.99 at the ticket counter. This is too much money, keep reading for the best deals. Pro tip: Florida residents get an annual pass to both LEGOLAND and the waterpark for only $119.99. It’s worth it to buy those tickets through the LEGOLAND website directly. This deal is actually through the LEGOLAND website and it’s my personal favorite deal. The Combo LEGOLAND pass includes tickets to Madame Tussauds Orlando and SEA LIFE Orlando. We’ve visited all of the attractions at ICON Orlando 360 and definitely recommend it! Who benefits the most from this ticket? This ticket is best for people who only want to spend one day at LEGOLAND but also want to check out the activities at ICON Orlando 360 (where the ICON Eye is located- formerly called the Orlando Eye). For only $50 more than the combo pass listed above, The Go Card Orlando is by far the BEST deal in Orlando. It includes the attractions at ICON Orlando 360 as well as activities in Tampa Bay and Miami. When you purchase this pass you have 2 weeks to use up your 2-5 days of activities, meaning you don’t have to do all the activities 5 days in a row! This ticket is perfect for people who are traveling all over the southern half of Florida. It includes admission to some of our favorite locations such as Kennedy Space Center, Gatorland, and the Florida Aquarium. Head here to purchase tickets and learn more about the Go Card Orlando. Undercover Tourist is my favorite place to compare theme park prices. As a Florida resident, it’s never cheaper for me to buy them through the site. However, if you aren’t a Florida resident, you’ve got to check out all the deals on Undercover Tourist. Who benefits the most from Undercover Tourist? 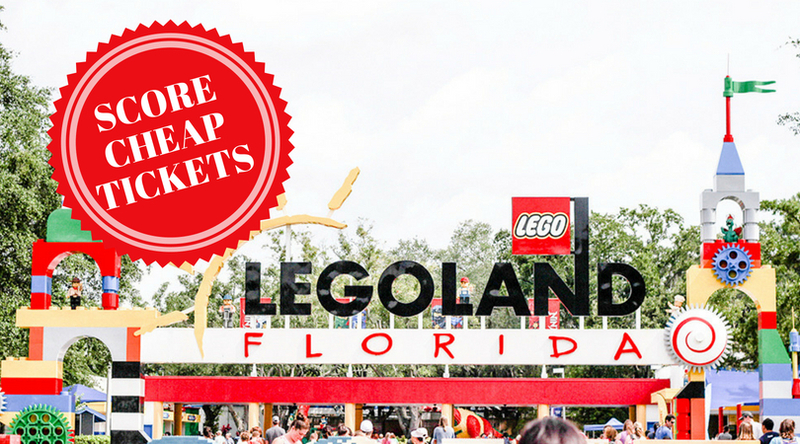 If you want to spend more than one day at LEGOLAND Florida or are interested in purchasing an annual pass, this is your best bet for discounted LEGOLAND tickets. Pro tip: Always compare Undercover Tourist with the attraction website. UT is cheaper about 99% of the time, but there have been times that I’ve seen theme park tickets cheaper on the actual site. Always price compare! Each year LEGOLAND offers annual passes for $99 for a limited time only! Make sure to get on their email list in order to be the first to know about it. As stated earlier, always compare discount sites when purchasing theme park tickets. Cheap LEGOLAND tickets aren’t hard to find, but you want to make sure you get the best deal for you and your family. With a little research, it’s easy to find discounted LEGOLAND Florida tickets. While I’ve never stayed at one of the LEGOLAND hotels, friends of mine swear by them. They are themed in such a cute way that I’m actually kind of dying to stay there. Check out this post about the LEGOLAND Beach Resort. It looks amazing! Even though it looks great, make sure to pay attention to prices. Instead of charging a standard room rate, each adult is charged (around $175). That charge includes theme park tickets and then kids play in the park for free. My suggestion is to do the math and see how much a cheaper hotel a little further away would cost you with the price of tickets. If it’s about the same, go for the super cool LEGO hotel room. If not, stay at the cheaper place. I’d love to hear how you purchase your tickets at a great price. Any tips I missed?